Base is a project for cross-pollination between the arts, enterprises, technology and social innovation. its mission: to generate new reflections for 21st century cities, establish new connections between different arts, disciplines and languages, and boost milan’s status among the great capitals of creative production. Today the project is manifested in a 12,000m2 space dedicated to exhibitions, performances, workshops and conferences, with a large studio and artists’ residence. 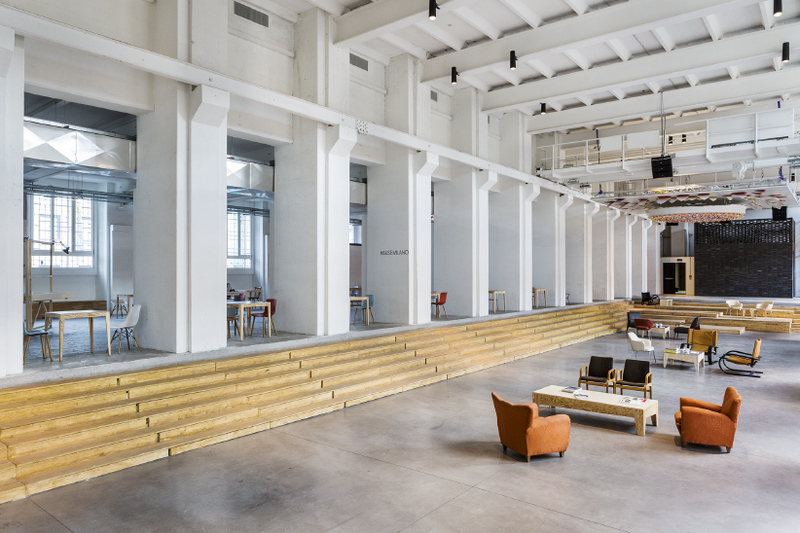 Located within the ex-Ansaldo complex, one of the most important urban regeneration projects in europe, base is breathing new life into a monument of industrial architecture, exploring new models of collaboration between public and private: a state-owned building, entrusted by milan city council to a private, non-profit social enterprise, the self-financed outcome of a union between five different charities and businesses.